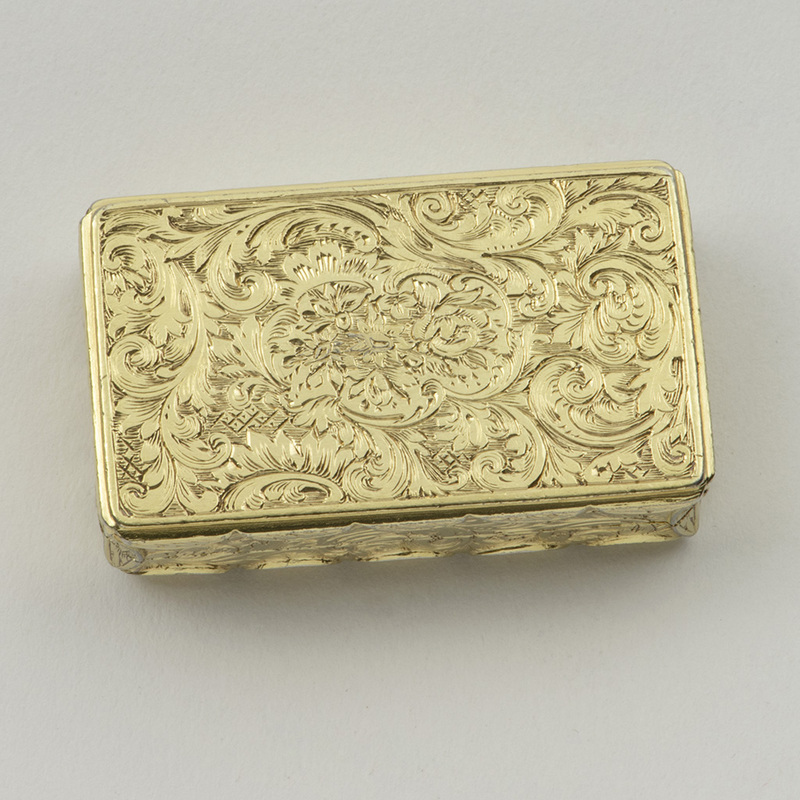 A Victorian silver-gilt Vinaigrette, London 1840, by Charles Rawlings and William Summers. 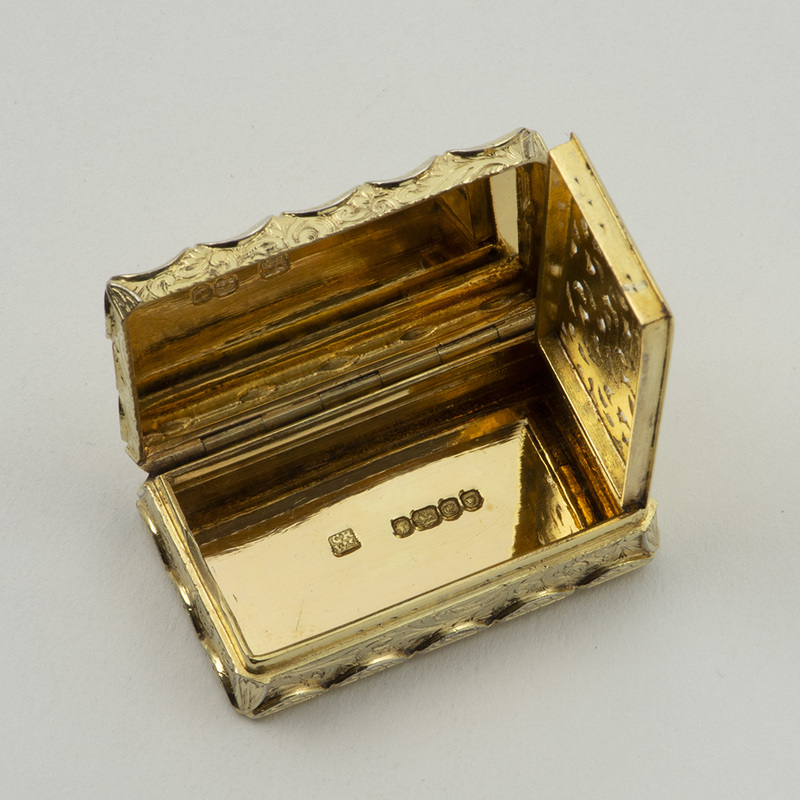 The lid has an unusual crimped edge, with concave sides to the body and a conforming applied border to the base. The whole box is decorated with foliate scrollwork, the lid incorporating two birds, in a typical Rawlings and Summers’ style. The [unmarked] grille is pierced with engraved scrollwork. 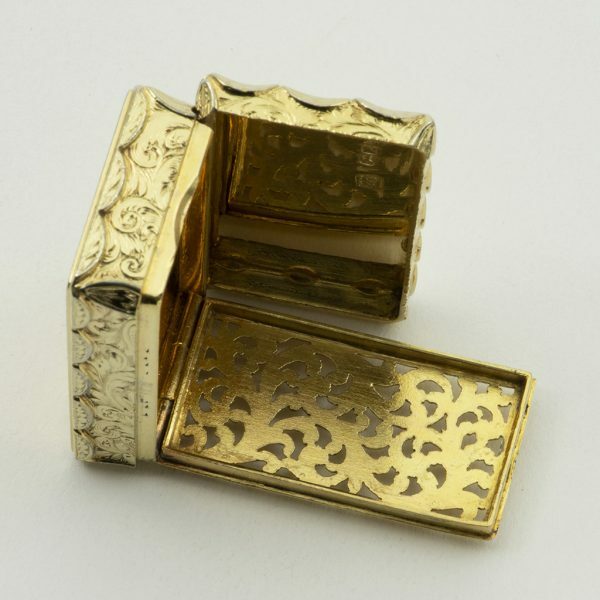 Send Enquiry for A Victorian silver-gilt Vinaigrette. Good. 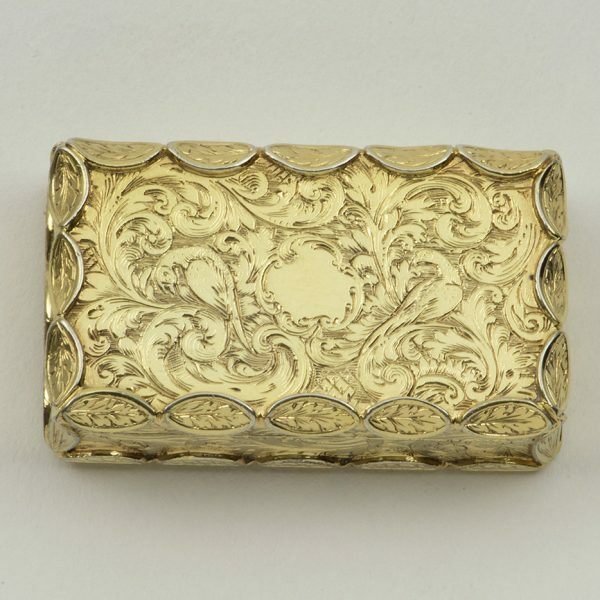 Some light wear to the gilding on the edges, otherwise excellent. 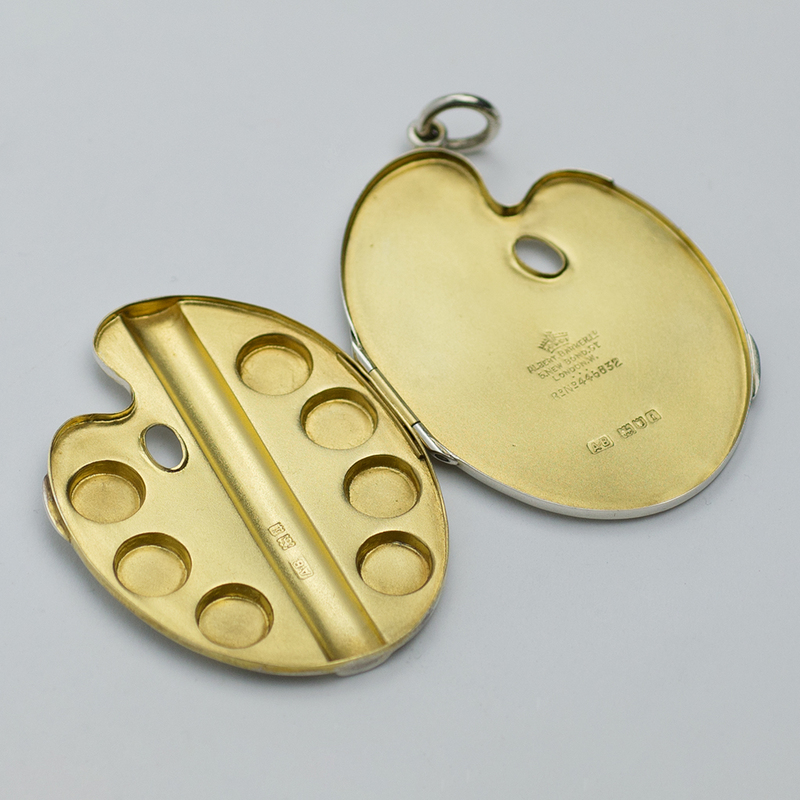 Length – 4 cm. 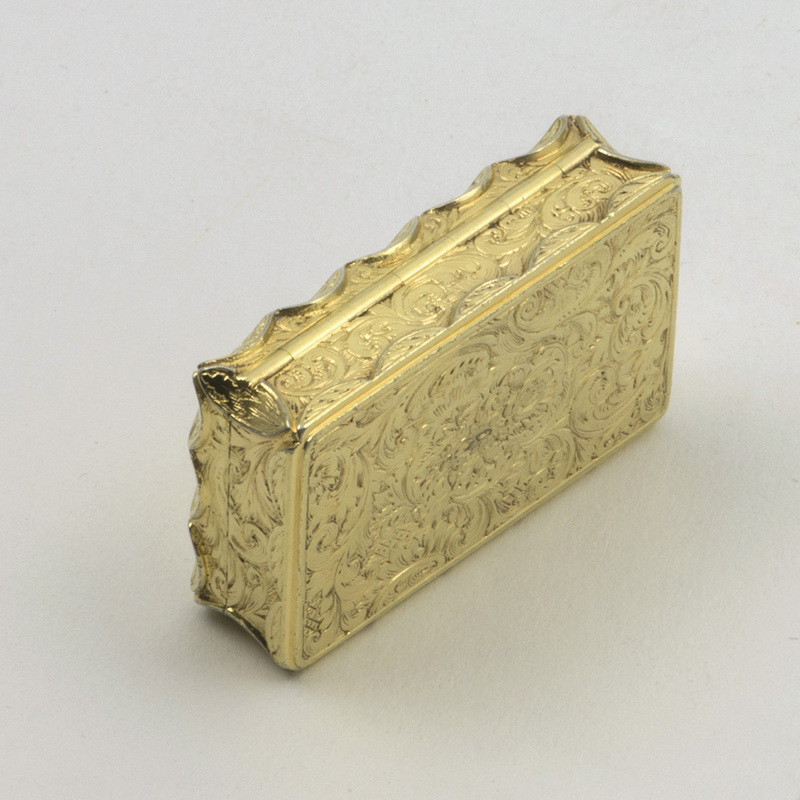 ; Width – 2.40 cm. 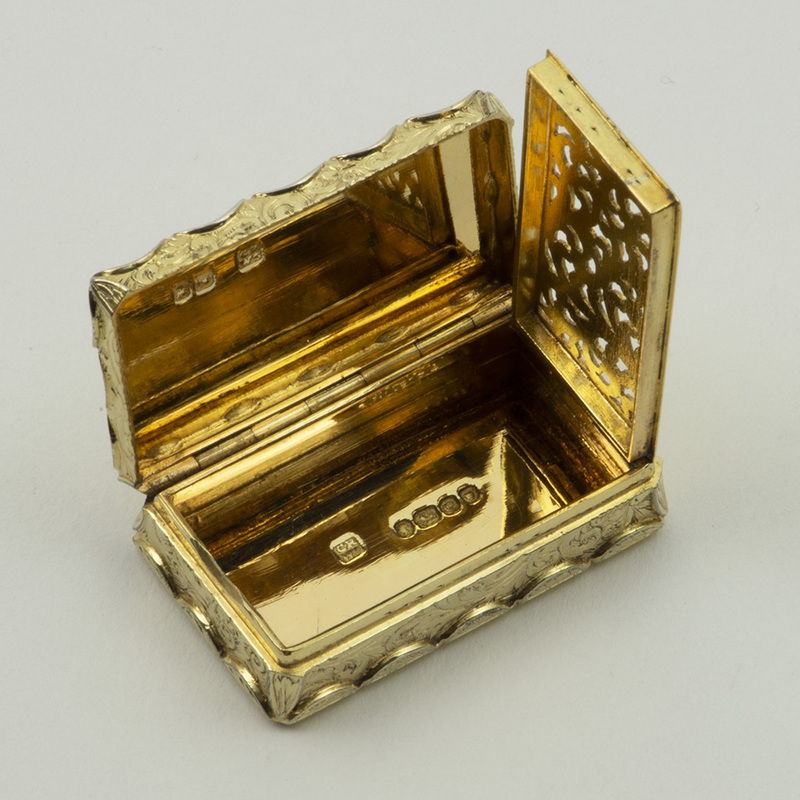 Depth – 1.20 cm. ; Weight – 31.20 gms. 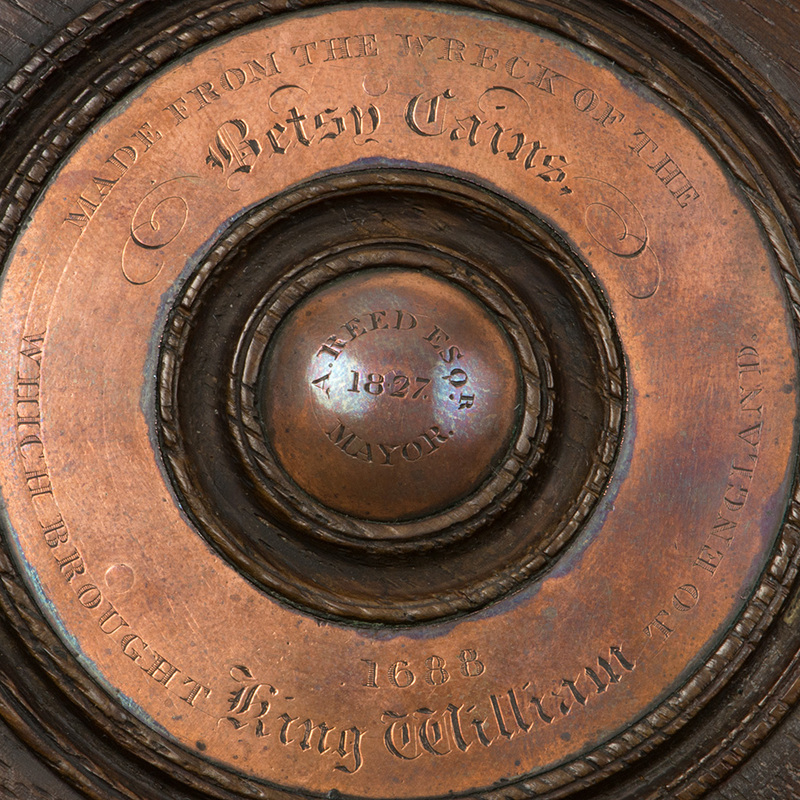 An interesting Wood and Copper Souvenir of the Betsy Cains. 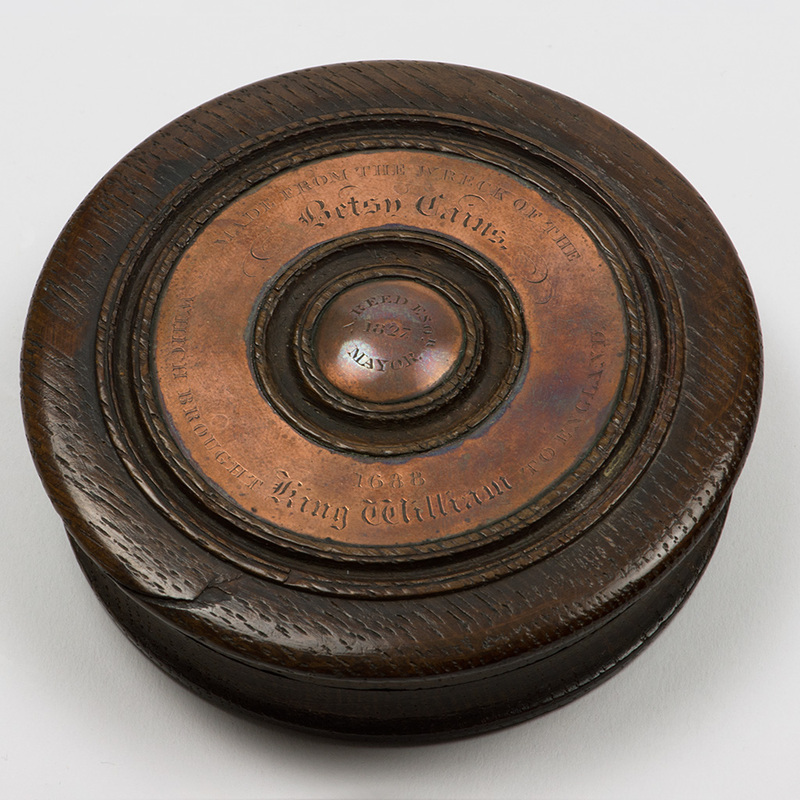 Send Enquiry for An interesting Wood and Copper Souvenir of the Betsy Cains. 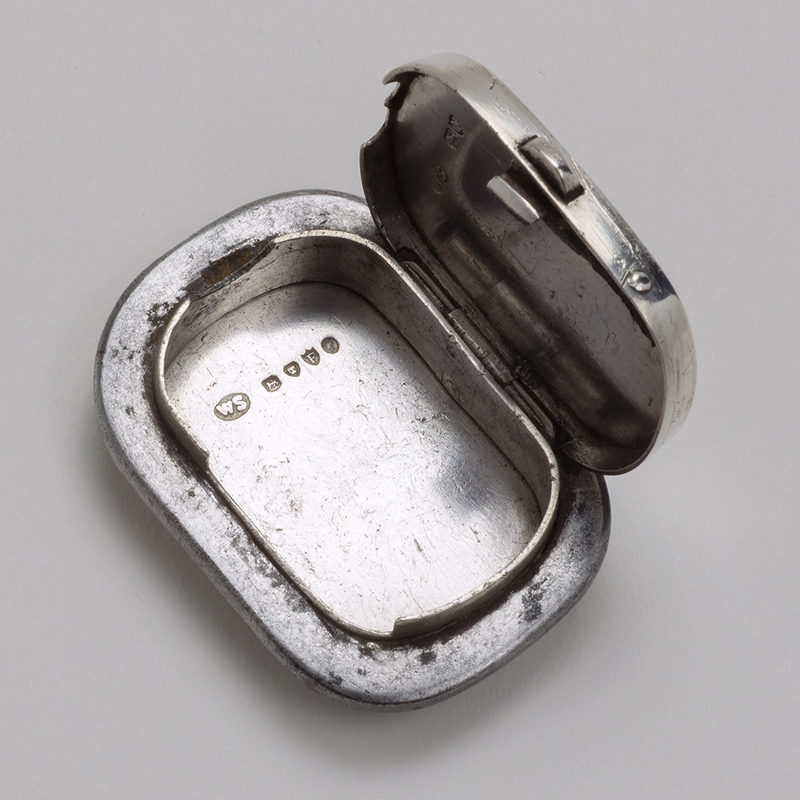 A Victorian silver Tinder Box for a Yachtsman. 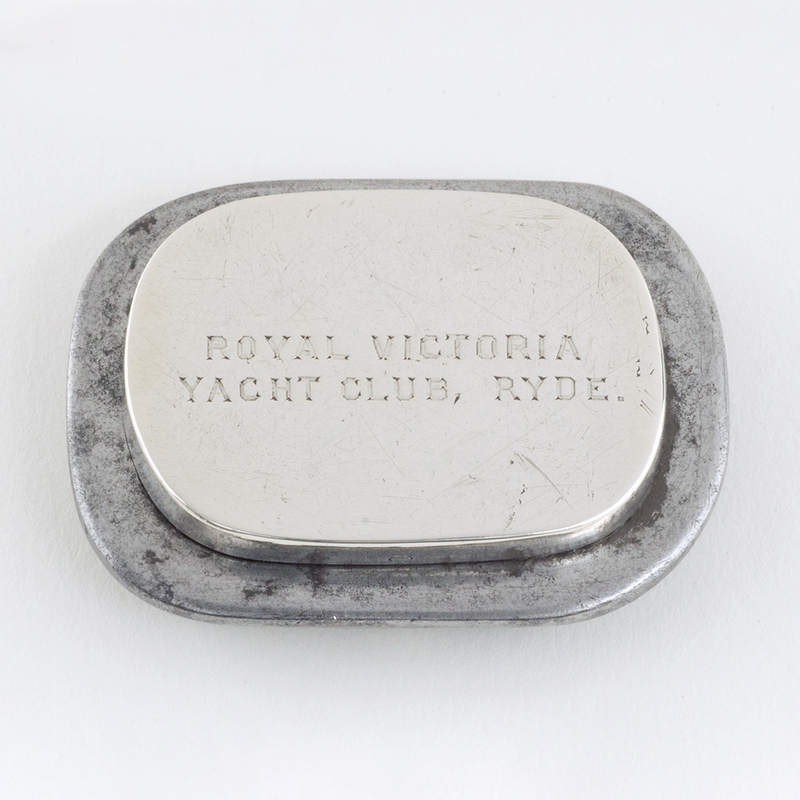 Send Enquiry for A Victorian silver Tinder Box for a Yachtsman. 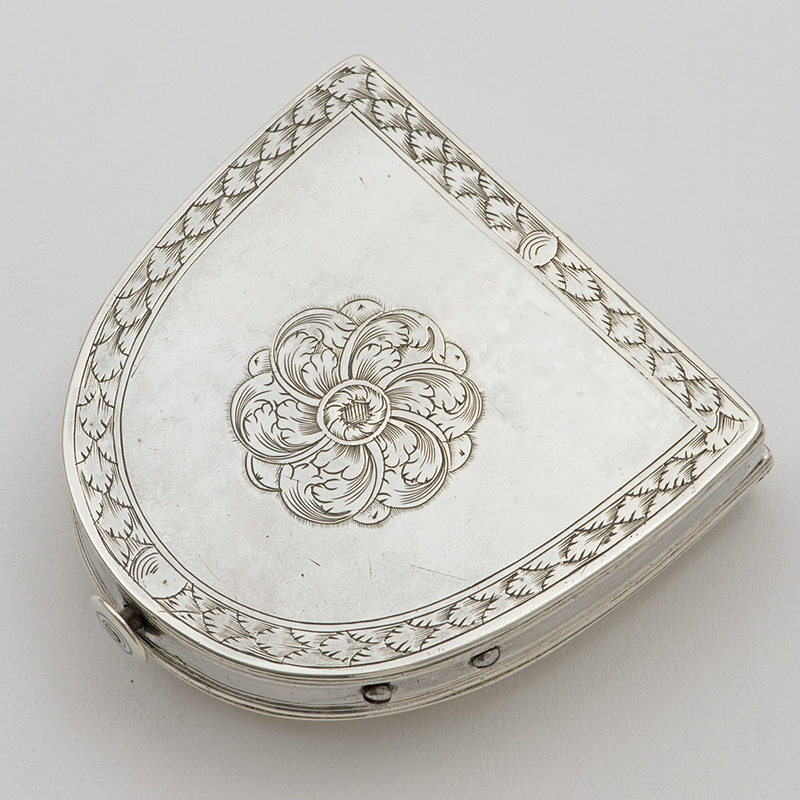 A rare early 18th century English silver Box. 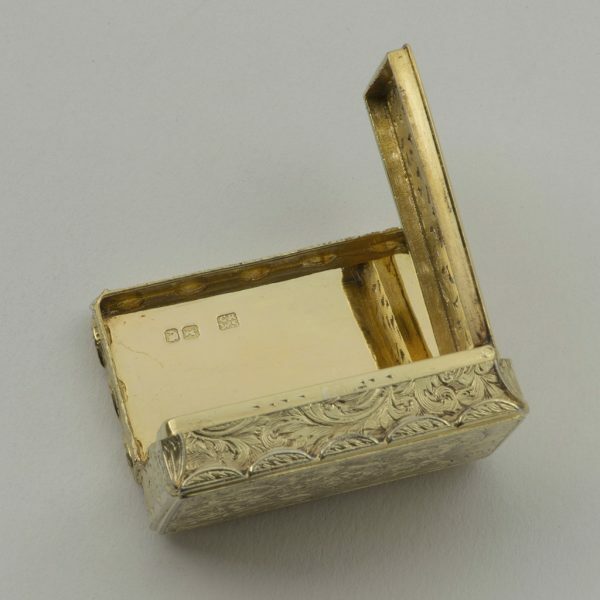 Send Enquiry for A rare early 18th century English silver Box. 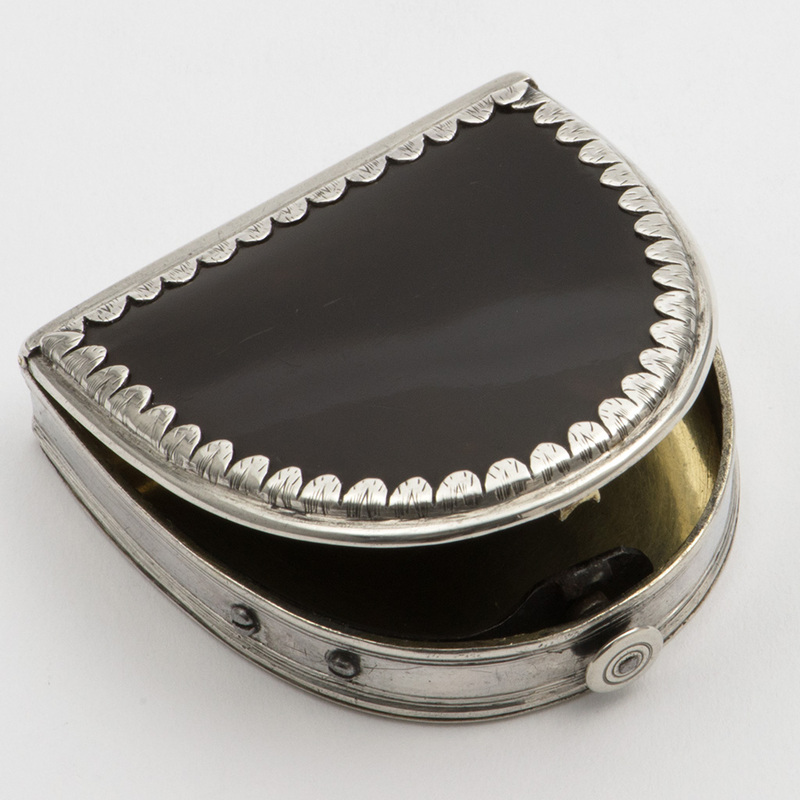 An Edwardian silver travelling Paintbox. 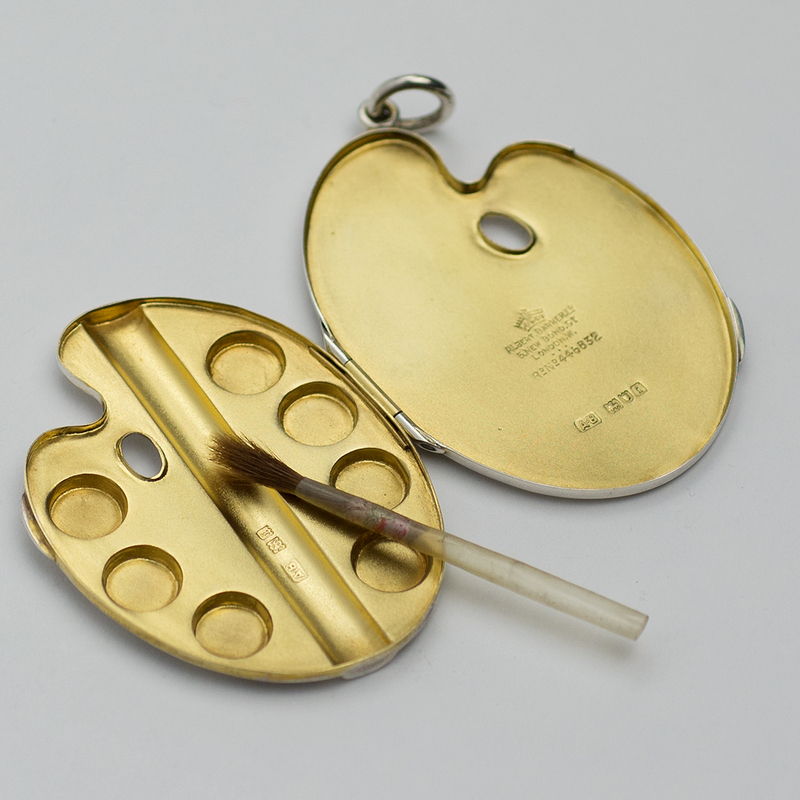 Send Enquiry for An Edwardian silver travelling Paintbox. 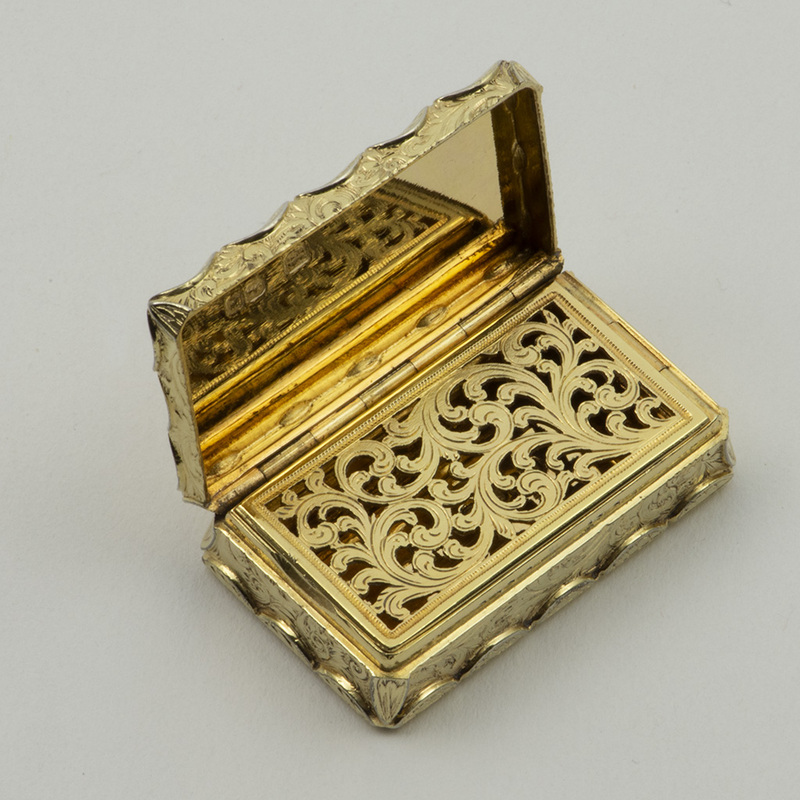 next post: A tiny Victorian silver-gilt Vesta Case.